Where can I check my Waterstones gift card balance? You can check your balance by handing the card to a bookseller at any Waterstones bookshop. Your Waterstones gift card balance will be displayed on your gift receipt when buying the card, or on the till receipt following any subsequent purchase using the card. At the moment Waterstones don’t offer the facility to balance check their cards online. We’ll update this page when they do. Where can I buy a Waterstones gift card? It’s great to give the gift of reading and with wide choice and knowledgeable service Waterstones might be the perfect choice. You can buy the card at any Waterstones bookshop (click here for your nearest store) and that cards are also available to buy in branches of Morrison’s supermarket, Tesco and larger Boots stores. Where can I spend my Waterstones gift card? The card is welcomed at any of the 245 Waterstones bookshop in the UK. Click here to find your nearest Waterstones store. 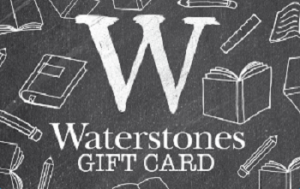 The Waterstones gift card will expire if it is not used within 24 months of purchase, a transaction being made on the card or the card being topped up. If the card is allowed to expire, any balance remaining will be lost. The card cannot be used in the Waterstones concession within Harrods.